no one ever talks about the b side on this one. forgive is one of my favorite mala tunes. such a warm vibe. Amazing how James took a somewhat dark/haunting tune and turned it into what I would call a chill/soulful lullaby. That's my take anyway. Big up! Who's that kid on the A-side? that second drop on changes! ************************** woaow! It's amazing how everyone loves this song. 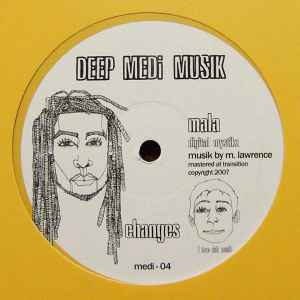 Seemingly I'm the only person on earth that thinks that "Changes" is one of Mala's worst songs, destroyed by the absolutely horrid cut-n-paste vocal line. I think Mala is a great talented artist but this one simply does not fly. The B-Side makes up for it after all. This came out today and is still for sale (normal price) in so many shops but yet it's up for £30+ already? Yet another release that will have it's price pushed way above what it's worth. I would recommend this record to ANYONE, music for the soul. Both sides of this record are 10/10, if you get the chance to buy this, take the opportunity, seriously.